Horizon Yacht Charters have several experienced and friendly skippers and instructors. Some of their profiles are shown below – click on the relevant link for skippers in your preferred base. We’ve built up and refined our team over many years into a select group of truly out standing individuals, all keen and happy to offer you first class service during your charter experience. 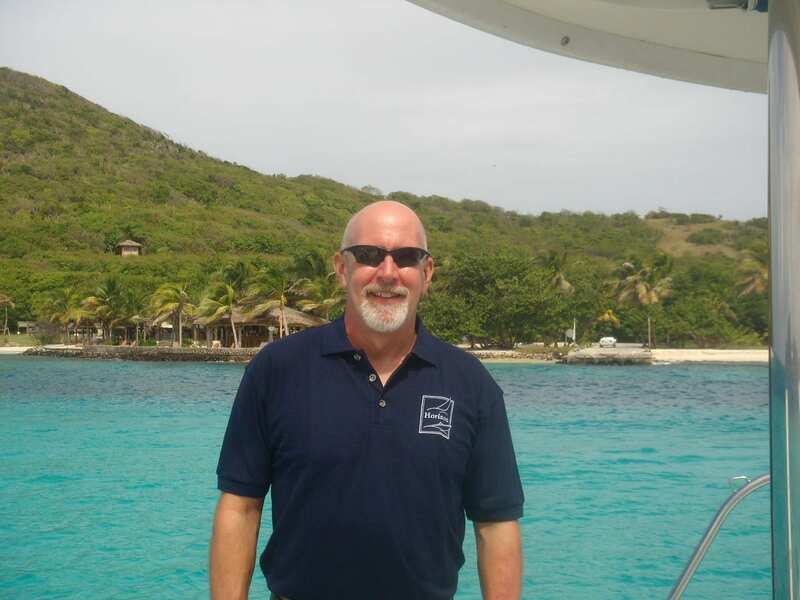 Hi, I’m Arthur, one of Horizon’s yacht skippers and instructors in the BVI. I’m from London, England and joined Horizon in January 2017. 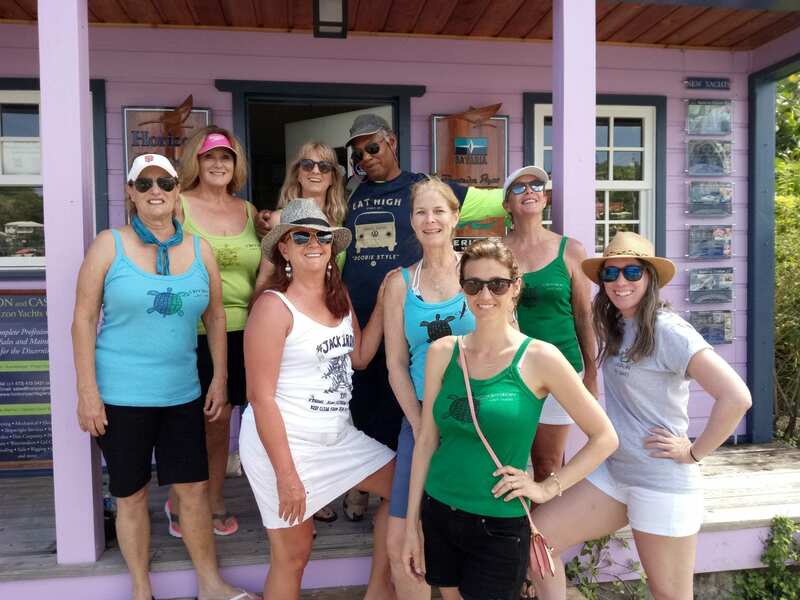 I first came to the BVI as a tennis instructor on a private island in 2008. In 2011, having spent time sailing on Hobie cats and completing my day skipper in Tortola, I bought a 34ft sloop and travelled throughout the Caribbean for the next year. During that time I completed my RYA Yachtmaster 200 tonne in Grenada. 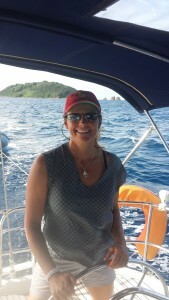 Sailing is in my blood and I’m happiest on the water in these beautiful British Virgin Islands. 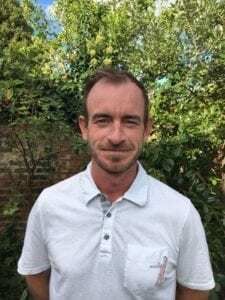 My experiences as a tennis coach for children and adults, for groups and individuals have helped ensure I’m able to cater for large and small groups of all sizes and ages. I have a passion for history and story-telling and look forward to regaling you with Caribbean tales of the days gone by. I enjoy diving and exploring the beautiful reefs with charter guests. I’m also happy to bring out my guitar for a singalong with guests! 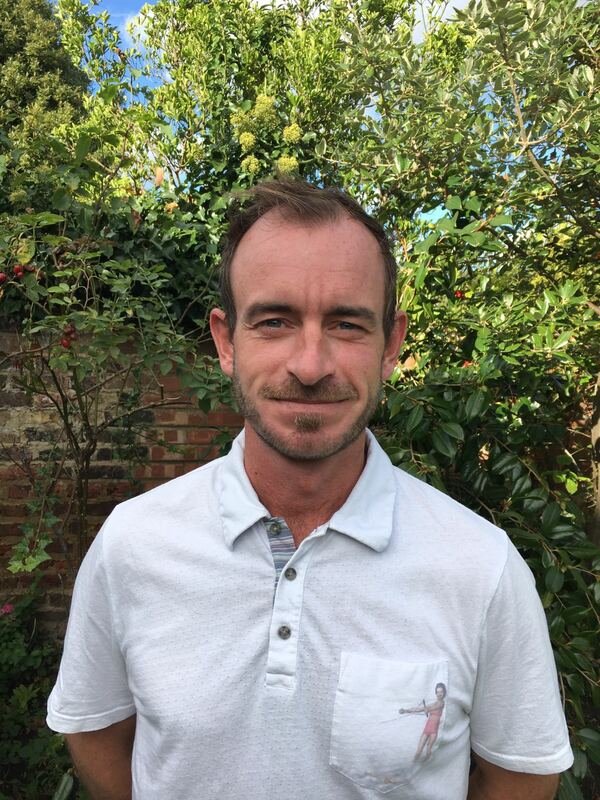 Hi, I am Chris, a Skipper and Instructor for Horizon. I am more than excited and feel very privileged to be going back to my roots and my #1 vocational passion that I left in my late 20’s, to pursue other avenues in the marine industry, as Operation’s Manager for a 50-boat charter company here in the BVI and, then later, as co-owner and Senior Yacht Broker for BVI Yacht Sales. I first arrived in the BVI in 1985, as an instructor for Steve Colgate’s Offshore Sailing School, fell in love with the territory and was lucky enough to be able to come back here again in 1990, where I have happily lived and worked for the last 28 years with my American wife. My passion for sailing and, then much later, teaching sailing, started when my sailing crazy parents put me in a dinghy at the age of one! Long family summer sailing trips then became the norm, by my late teens I had logged thousands of offshore sailing miles. Circumstances then conspired to have me training for my RYA Yachtmaster certificate (USCG 100 Ton equivalent) and, a year later, becoming a Yachtmaster Instructor. My teacher was exceptional and infinitely inspiring, she not only instructed me to the highest standards but also noticed by aptitude for instructing my classmates. She encouraged me to get into sailing instruction which I then happily pursued for the next 8 years of my life, 4 of those as the Principal and Chief Instructor of my own sailing school. To now have the opportunity to go back to my true vocational passion of sailing instruction is tremendous, it’s what I thrive on and so I really look forward to sailing with you. I also love to windsurf, stand-up paddle and snorkel, so I look forward to sharing my knowledge of those pastimes should you have interest, as well as showing you the many special places that I have discovered over the majority of my lifetime spent in the waters of the beautiful BVI. The sea has been Greg’s passion for all his life and consequently, his chosen career. He is extremely well qualified with his RYA Commercially Endorsed Yachtmaster and very experienced. Greg has worked on dive boats, as the captain of a large private yacht, and as the owner/skipper of a sports fishing tour business in St Vincent (he also worked on the set of the Pirates of the Caribbean films, as location scout and as the Director’s boat) In recent years, he has worked as a freelance skipper and as a delivery skipper. He is also a PADI qualified dive instructor and a keen fisherman. He considers of prime importance the comfort and safety of his crew and guests alike and the immaculate condition and maintenance of whatever boat he captains. 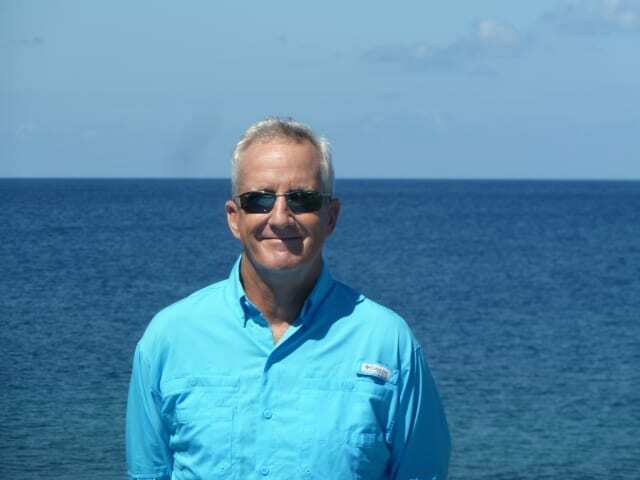 He is one of our skippers and instructors and is a relaxed, convivial captain who will make you feel at home. Laura was born and raised in St. Vincent and the Grenadines, 30 something years ago (she has stopped counting) Cooking and the sea were both an integral part of her early life. Growing up with fresh local cuisine at her disposal, she has learned to prepare food from the greatest cooks around, her grandmother and mother. As she has grown and sampled, dabbled and researched cuisines, it comes as an enjoyable on- going learning experience for her. Sailing also runs through her blood; her grandfather captained schooners sailing in the Caribbean and explains her continuing love of sailing. 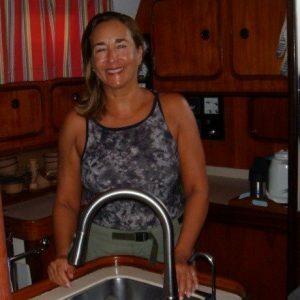 She has attained jobs as a cook or crew on charter yachts since 2004, mainly the Caribbean chain from the BVI to Grenada, not only for the experience and to build her portfolio, but just for the sheer love of doing it. Her easy going, pleasant, witty disposition, combined with her attention to detail are just some of the attributes that continue to make her guests feel comfortable, relaxed and appreciative of their time spent with her. After sailing on Lasers and 420s, I really got hooked the first time I sailed on a keelboat, a 40’ Cheoy Lee that my Navy ROTC unit rescued from a Customs storage yard after seizure. No self-tailing winches, no electronics, kerosene stove, but my oh my was the sailing sweet. I did my first offshore trip on Majestic and went on to command the Sailing Company before getting my commission and moving on to much larger ships. 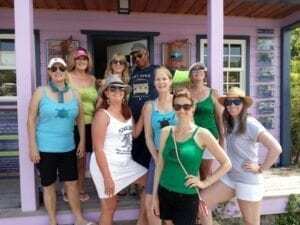 After leaving active duty as navigator on USS Nassau (LHA 4), I took groups on bareboat charters in the Caribbean, some of whom are now my best friends. After several short summers racing on Lake Michigan, I decided to move to the Caribbean where my time on the water wouldn’t be limited to a few months, and scuba diving doesn’t require a drysuit. Now I live on my sailboat Troubadour, where I have time to practice my guitar and ukulele when I’m not teaching sailing.